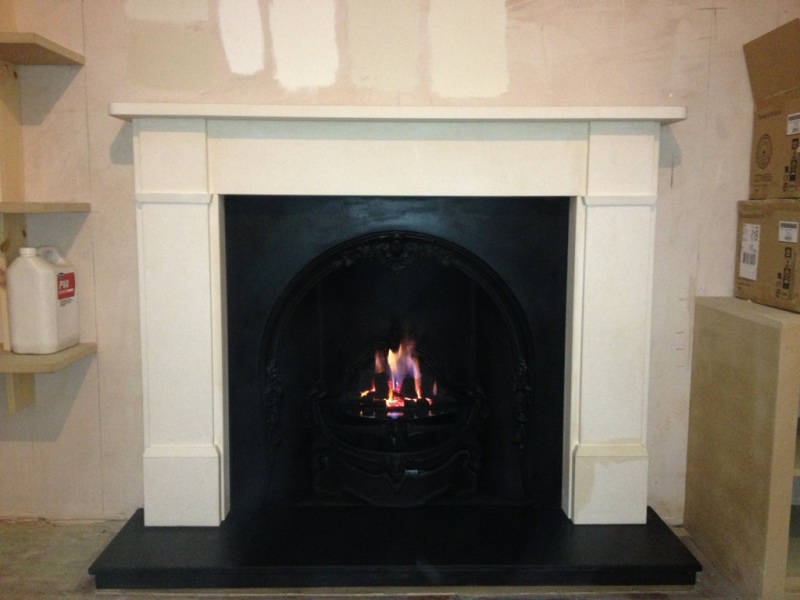 This installation of a classic victorian fireplace from Chesney’s took place in a property in Kingston Upon Thames. 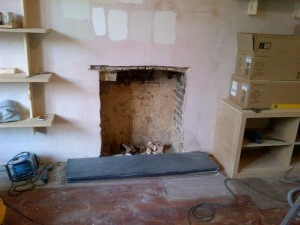 The client was refurbishing her front room and needed to change the existing fireplace. The fireplace had an extremely large black slate Victorian corbel which was approximately 82 inches wide on the shelf. It dominated the whole room. Our work involved reusing the client’s existing cast iron insert. 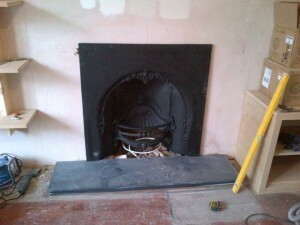 First of all we removed the cast iron insert and installed the gas fire. Then we put back the refurbished cast iron insert with a classic victorian fireplace from Chesney’s. In addition we installed a slate hearth. Finally, the result is a very beautiful and subtle fireplace that will compliment the new room very well.